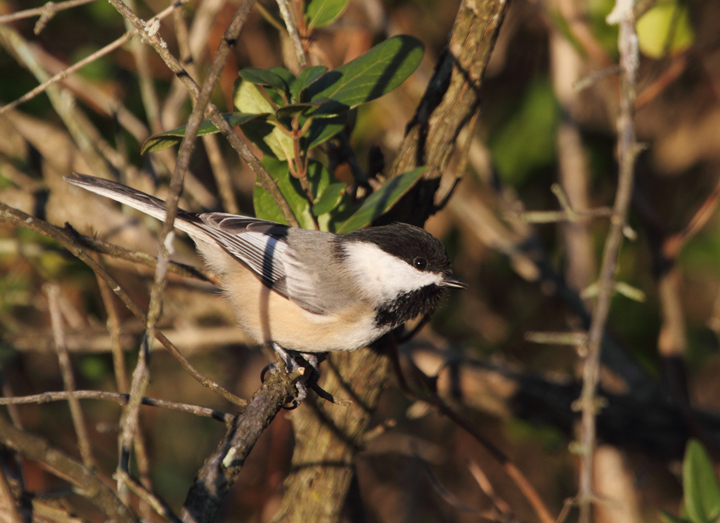 Early November in Maryland. 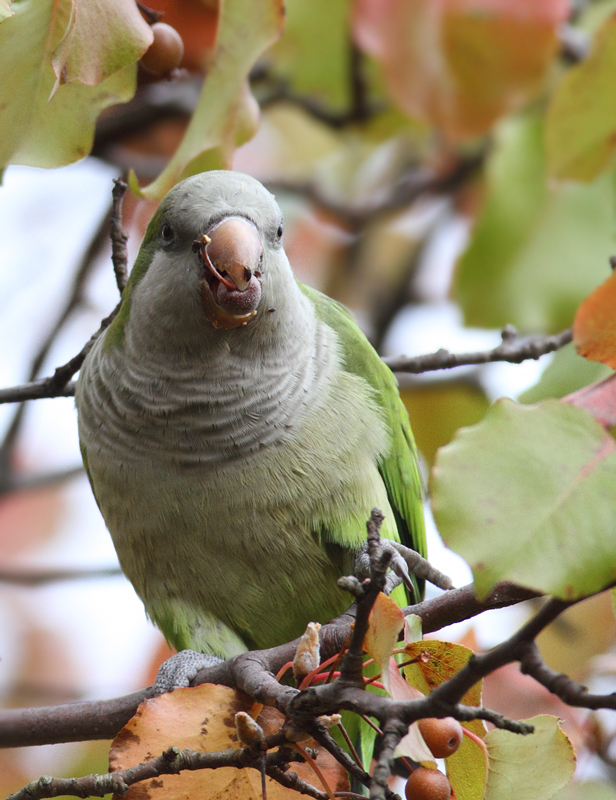 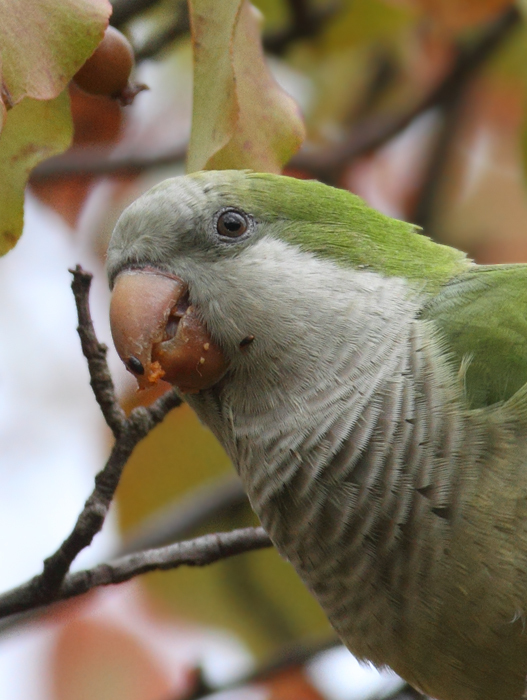 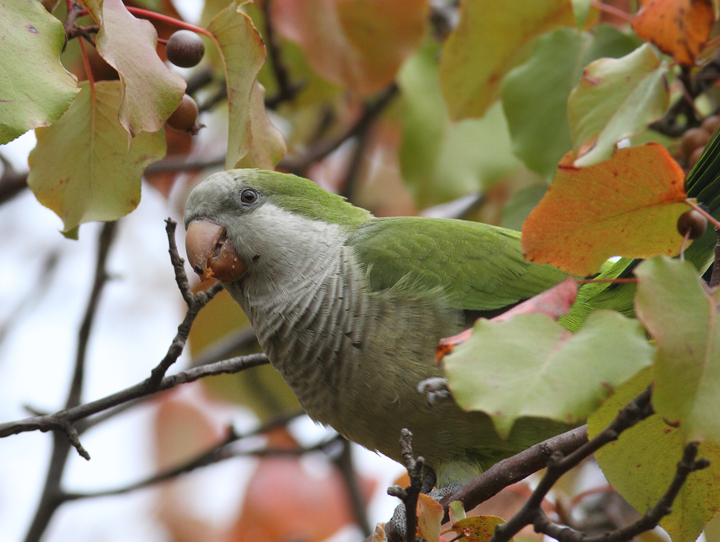 Irrupting Black-capped Chickadees, Monk Parakeets. 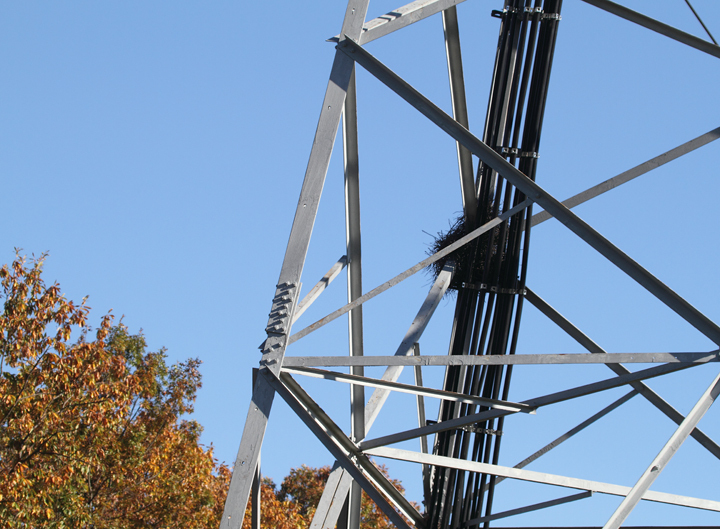 Last updated: 11/8/2010. 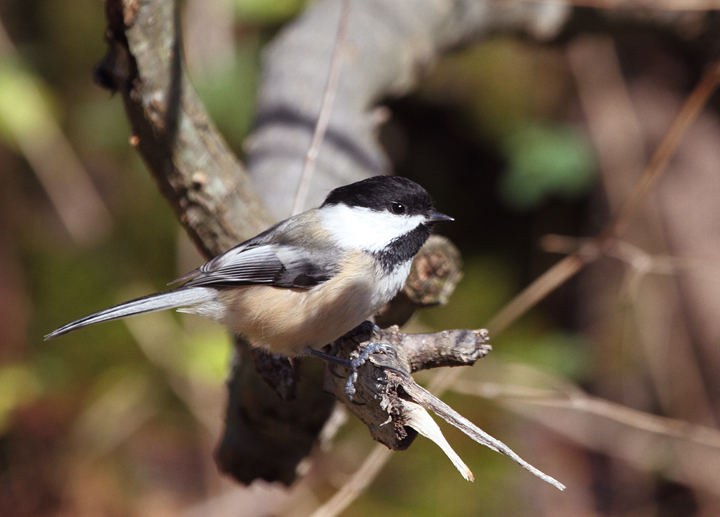 Above and below: Two Black-capped Chickadees visiting Eden Mill Park, Harford Co., Maryland (11/7/2010). 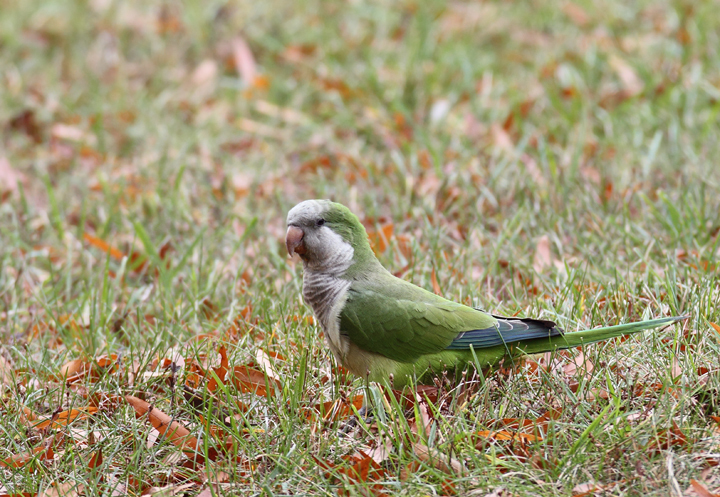 When I posted about this sighting, Les Eastman told me that they'd banded one at this location. 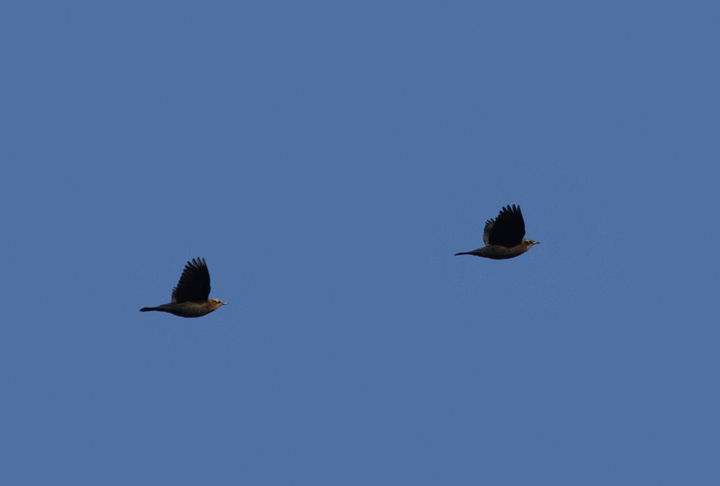 Did it look like the one above? 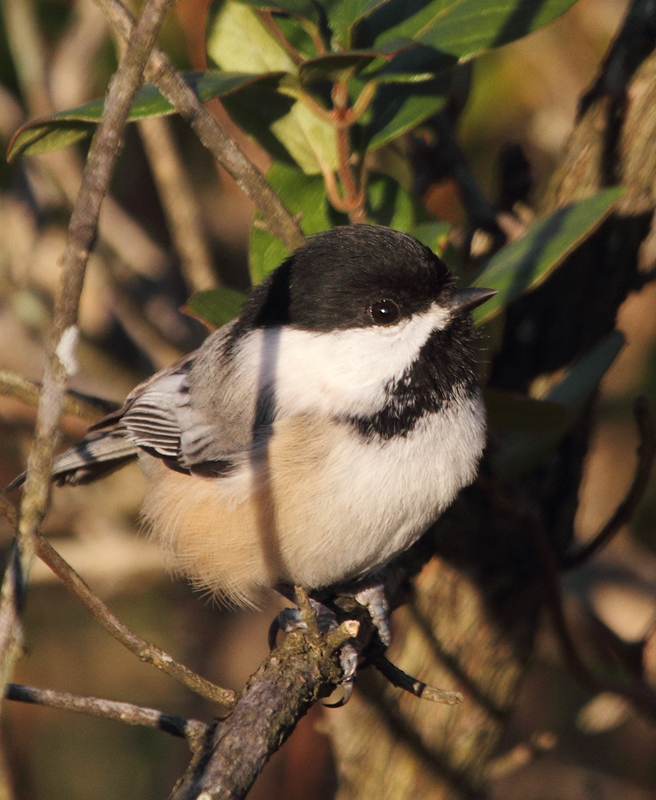 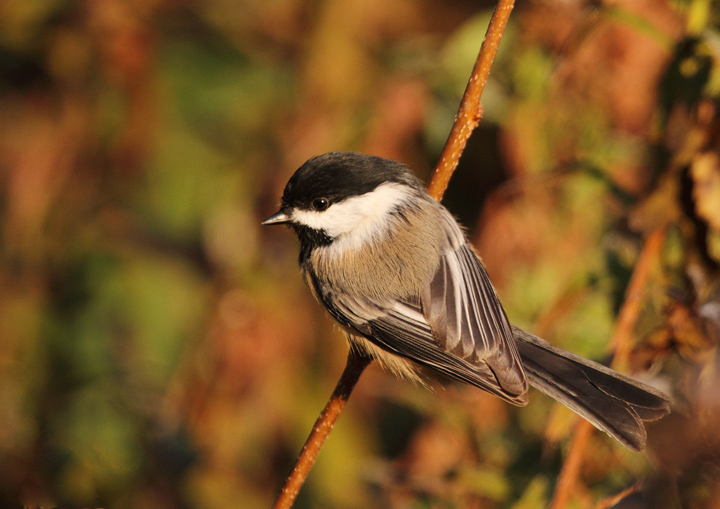 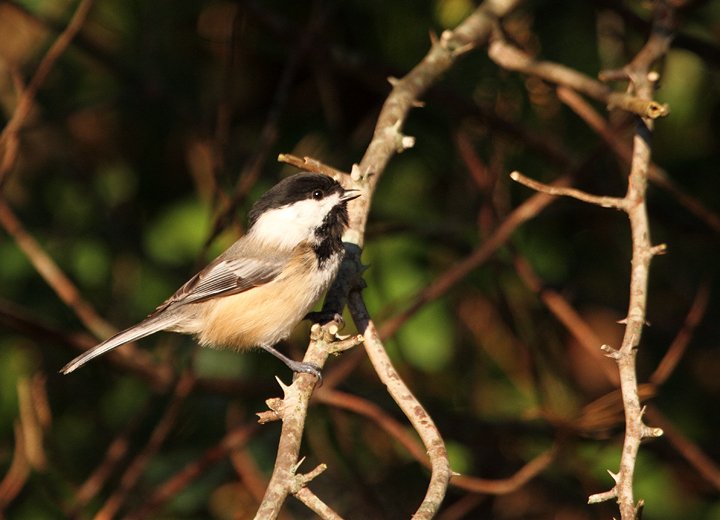 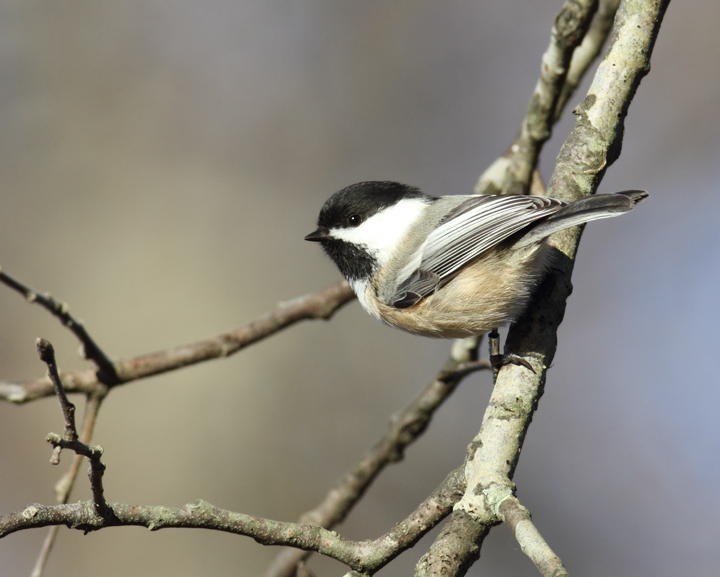 Below: One of three Black-capped Chickadees visiting Blue Mash Nature Trail, Montgomery Co., Maryland (11/1/2010). 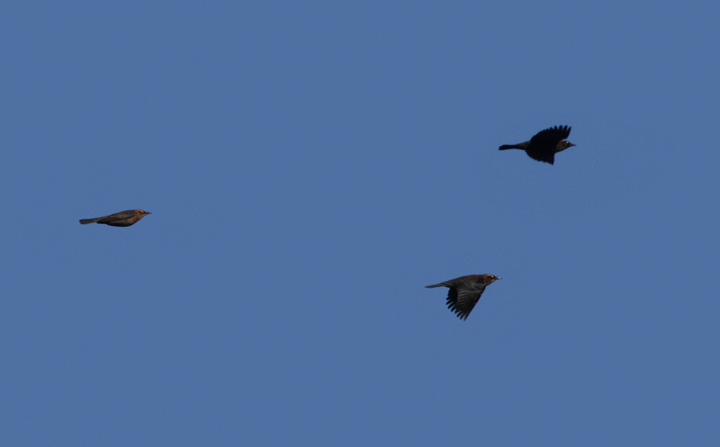 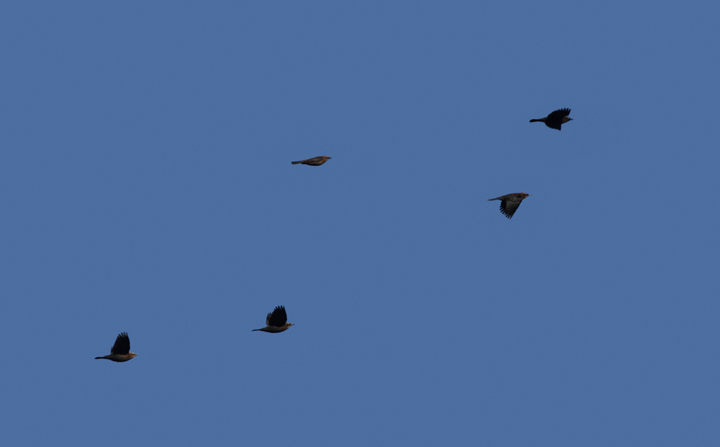 Below: Rusty Blackbirds in flight in Carroll Co., Maryland (11/6/2010). 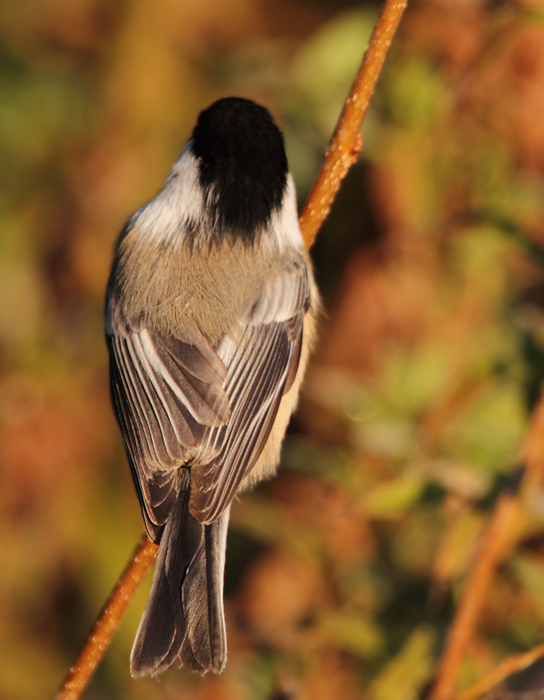 Below: Black-capped Chickadees visiting Hashawha Environmental Center, Carroll Co., Maryland (11/6/2010). 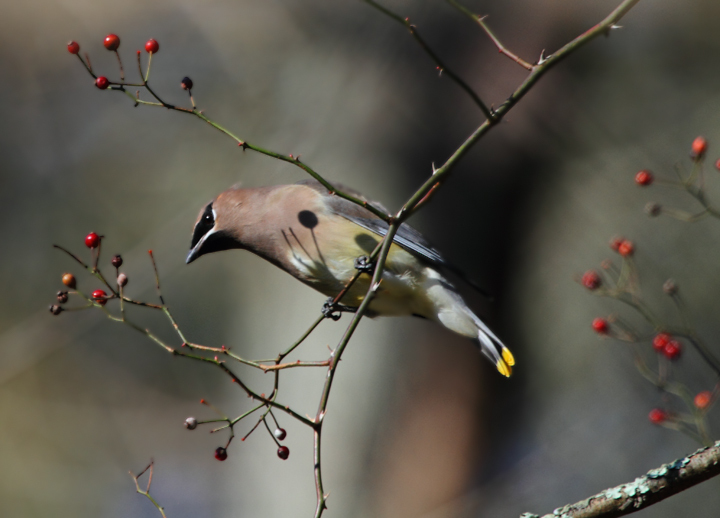 Below: A Cedar Waxwing feeding on berries in western Cecil Co., Maryland (11/7/2010). 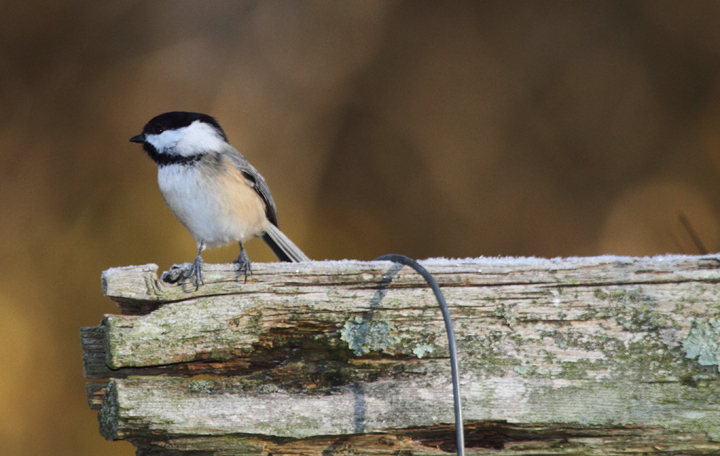 Below: Black-capped Chickadees in northeastern Frederick Co., Maryland (11/6/2010). 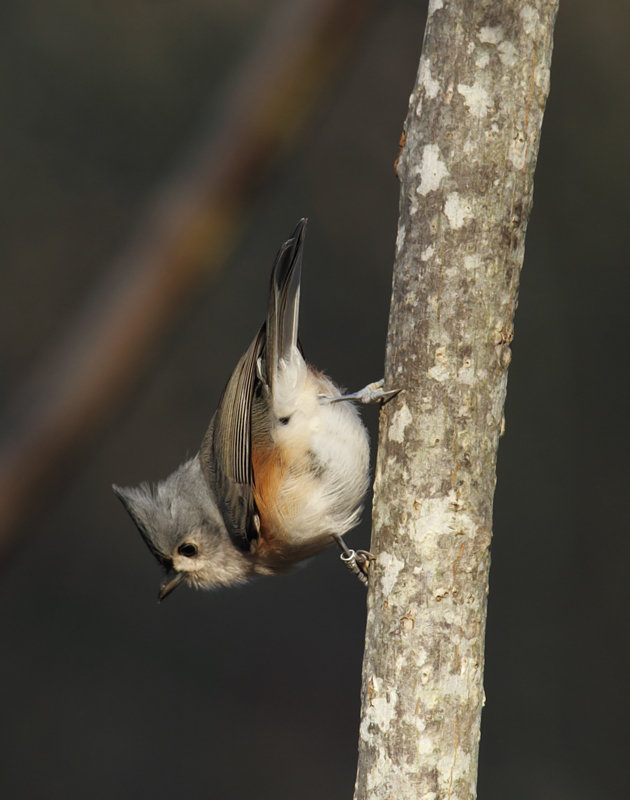 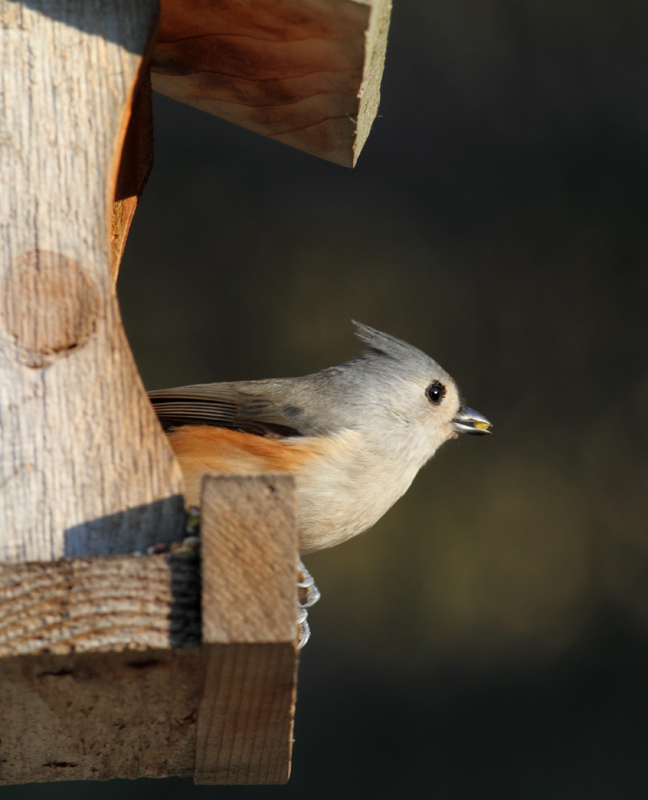 Below: A Tufted Titmouse at Eden Mill Park, Harford Co., Maryland (11/7/2010). 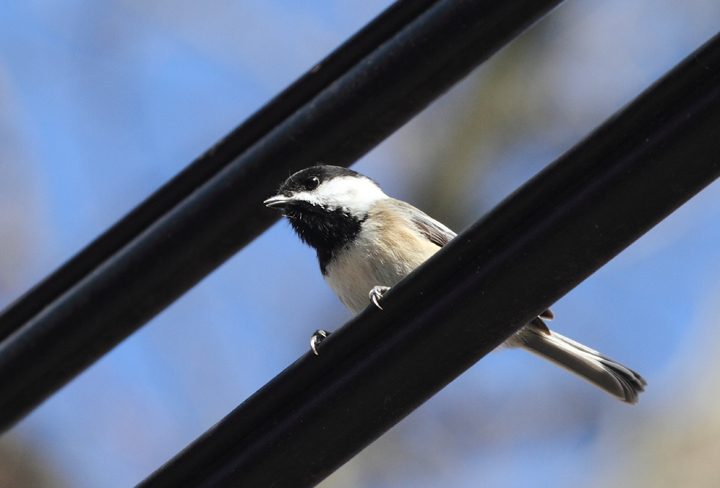 Banded. 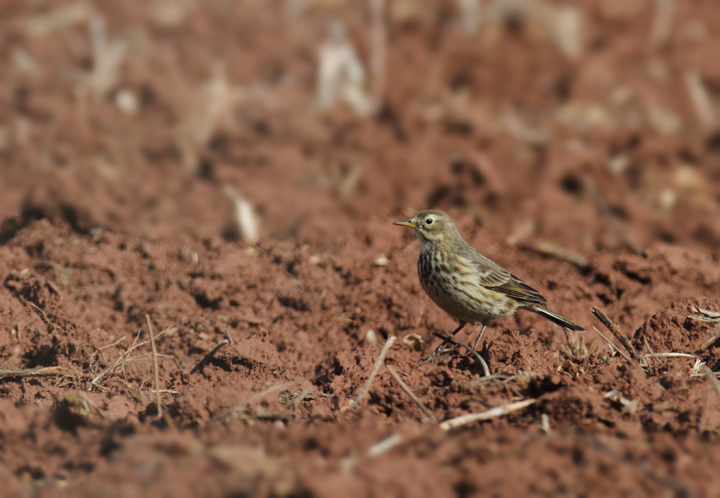 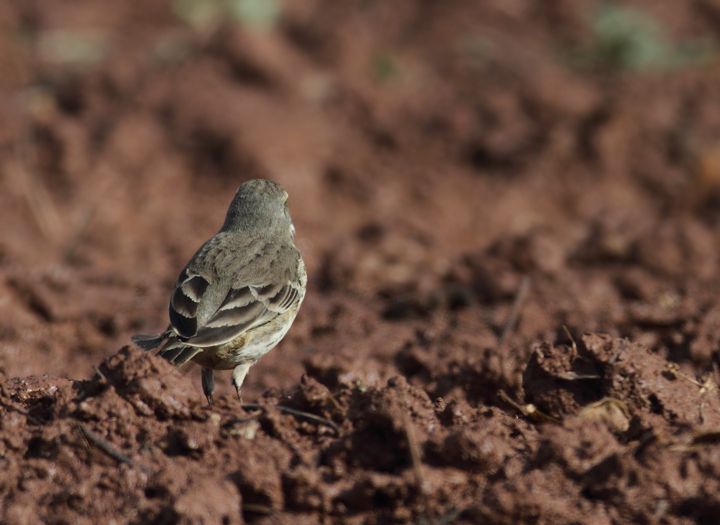 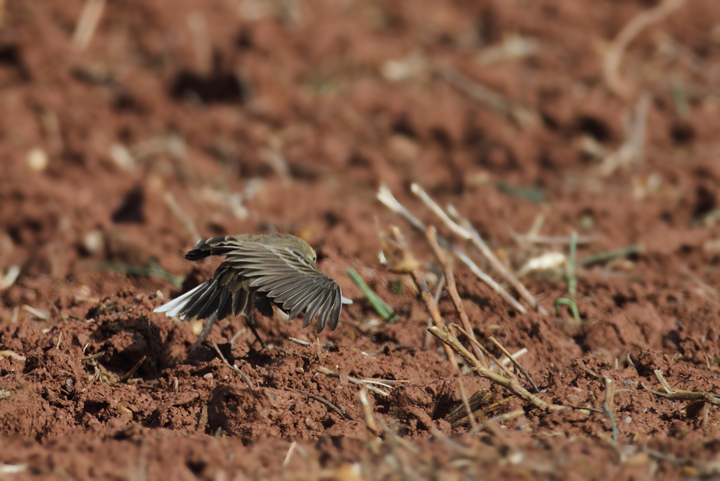 Below: An American Pipit foraging in a field in Frederick Co., Maryland (11/6/2010). 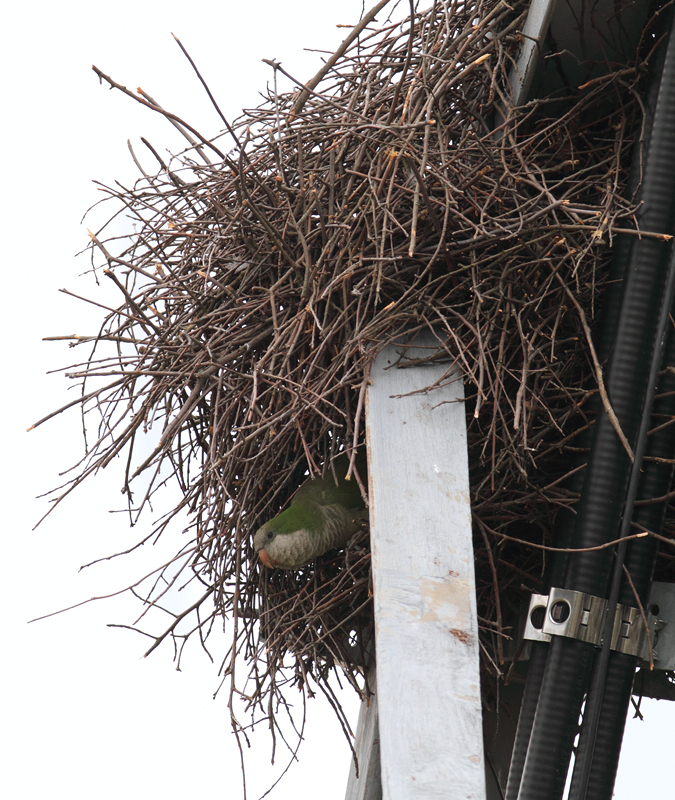 Below: Three Monk Parakeets building a nest in Laurel, Prince George's Co., Maryland (11/3/2010).